Last week was extraordinary. 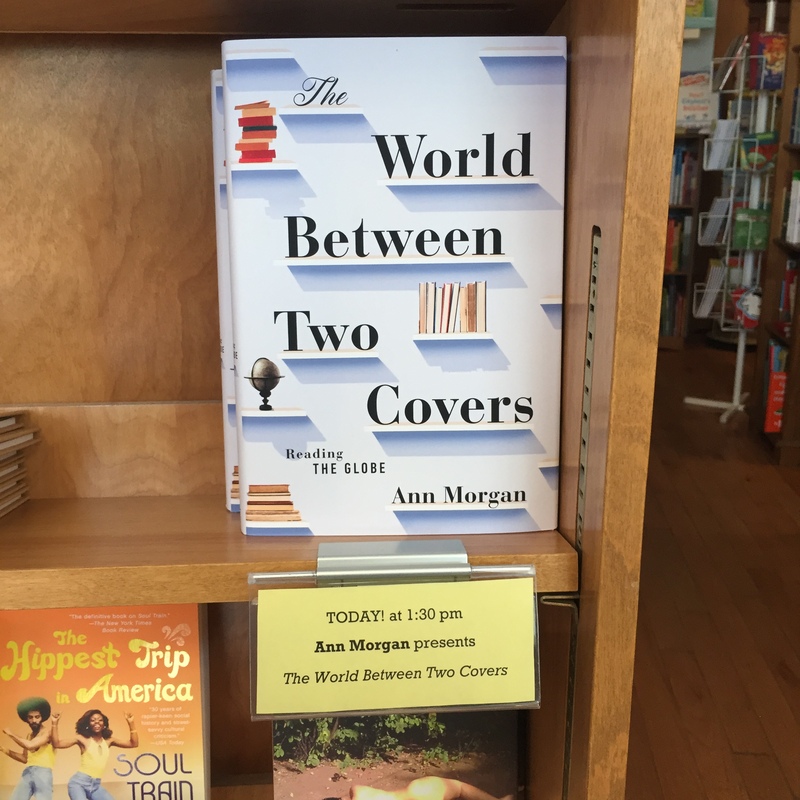 I was in New York for the publication of The World Between Two Covers, the US edition of my book inspired by my year-long journey through a book from every country. There’s no way I could do justice to everything that happened in a single blog post, but here’s a rundown of some of the highlights. 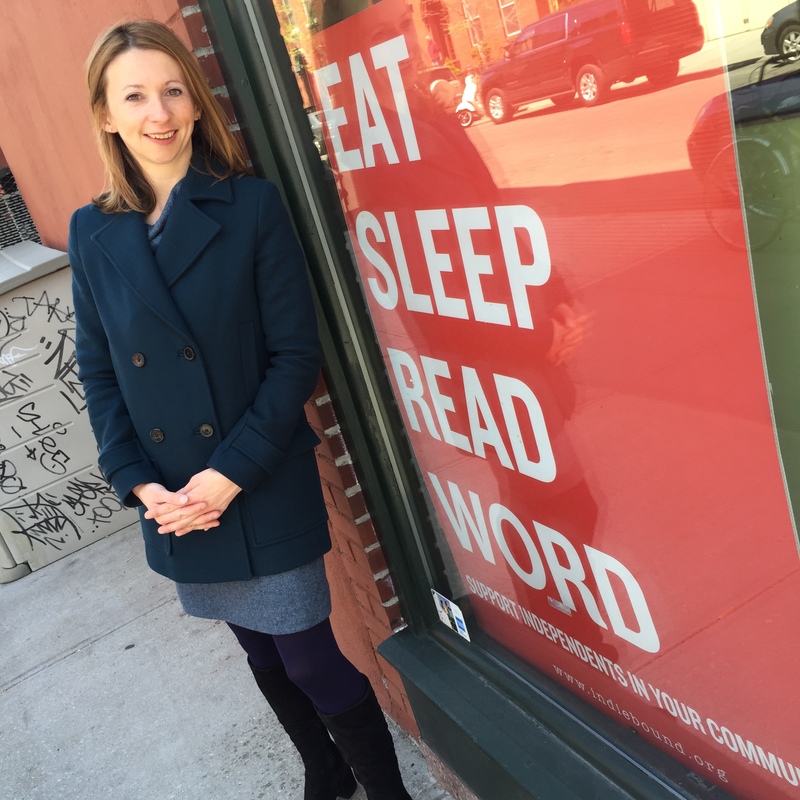 The week started off with a reading and presentation at WORD, a very cool independent bookshop in Brooklyn. The store was a fitting location as that day was Independent Bookstore Day in the US, so it was great to be taking part in one of the events to mark that. 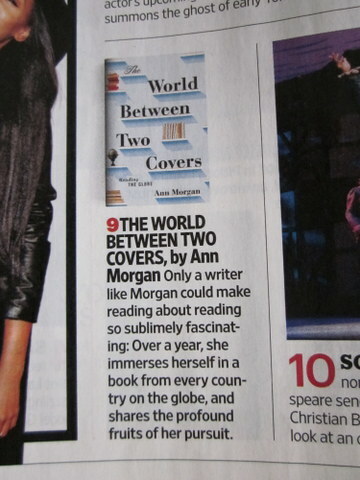 You can see me standing outside WORD in the photo above. Although the picture doesn’t really show it, the weather was glorious. I was worried that that might make it hard to persuade people to spend part of the afternoon sitting inside looking at my PowerPoint slides, but lots of people turned up. The WORD staff even had to put out more chairs. Monday May 4 was the official publication date (although the book was actually in many stores before that), so that day Steve and I went out for dinner with my lovely editor Elisabeth Kerr from Liveright/Norton and Sarah Levitt from ZPA, who is a partner agent with my UK agent, Caroline Hardman, and represented my book in the US. It was great to spend more time with Elisabeth and meet Sarah in person as we have been in contact over email for many months. We got on very well and had lots to talk about – in fact Sarah and I met for coffee later in the week and spent a good hour and a half talking solidly about books. As if treating me to dinner wasn’t enough, the next day Elisabeth arranged for me to meet and have lunch with a number of people from the Norton team. Again, it was an opportunity to put faces to the names of many people I have been in touch with remotely since Norton bought the book in August last year. I was also delighted to make the acquaintance of Bob Weil, publishing director of Liveright/Norton, who has worked on some incredible projects over his illustrious career. That evening saw me speaking at Book Culture on W 112th Street in Manhattan. Once again, there was a lovely encounter – this time with Ana Cristina Morais, one of the volunteers who translated a book for me to read from São Tomé and Príncipe back in 2012. I was thrilled to meet Ana at last, as you can see from the photo below. Wednesday brought a change of direction. I met with the team at Bloomsbury, including publishing director George Gibson, who will be publishing my novel Beside Myself in the US next year, in tandem with Bloomsbury’s UK team. It felt strange to switch from talking about world literature to talking about fictional swapped identical twins, but everyone quickly made me feel at home. Afterwards, I had lunch with my Bloomsbury US editor, Lea Beresford, and the two of us got on like a house on fire – so much so that I’m afraid I made Lea late for her afternoon presentation as we were enjoying talking so much. Thursday was my last full day in the city, but even that didn’t go by without some book business, this time in the shape of chats about ideas with some of the Norton team, including publicist Cordelia Calvert. Cordelia is already doing a great job because on Friday, just before I left New York, the hugely popular magazine Entertainment Weekly hit the newsstands, featuring The World Between Two Covers on its Must List. You can see the piece below in all its glory in the copy I picked up at Penn Station on my way to the airport – a fabulous end to the trip. Thanks to Ana and Steve for the pictures. What a blast – well done for ‘cracking’ the Big Apple! Congrats!!! I can’t imagine how exciting all this is for you … I look forward to the day that your book finally shows up in my mailbox!!! Thanks – I hope it arrives soon! Sounds like you had great fun. I love the concept of your book, and I don´t understand how on earth you did it, reading all those books in one year AND writing so many beautiful reviews… I´m a fan! Brilliant images Ann, well done, how exciting. 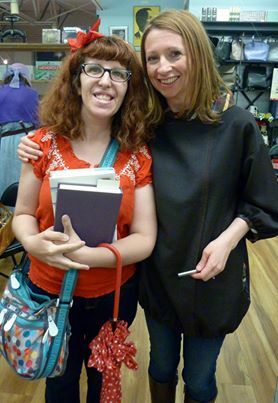 I hope you make it back to the big apple for the launch of your novel too! Thanks Claire – oh, me too! Congrats! looking forward to your upcoming novel. Great work! So exciting! The Big Apple is the best city! Congrats on the book! I’m excited to see it in print! Can not wait to read your book! I’ve only just caught up with this – congratulations on this, and your new book! I’m looking forward to reading them. Thanks very much – hope all’s well with you!